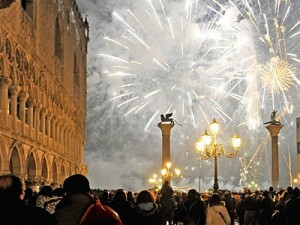 Bring in the New Year Venetian Style! While Venice is breath-taking any day of the year, nothing is as unique as spending New Year’s Eve 2015/2016 in one of the most romantic cities on Earth! The temperatures might be in the forties, but there will be sizzling parties and exciting things to do in order to bring in 2016 right! 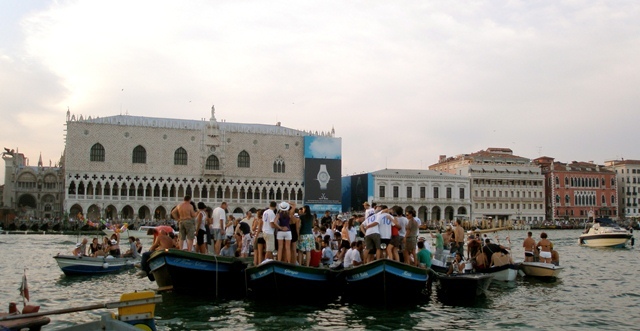 There is no question that the nightlife in Venice will be dull on this important night of the year! Gamble Your Way into 2016 at Venice’s Casinò di Ca’ Vendramin Calergi (waterbus stop: San Marcuola or free direct shuttle boats from Piazzale Roma). There is an entrance fee of €20 which includes free entrance from 11am til the wee hours of the night, a midnight toast, and some holiday desserts. You can test your new year’s luck at the games of chance and win some cash at the slot machines, poker tables and roulette in a historical palazzo on the Grand Canal! Not sure if there will be an official party in the Casino but it is a unique way to spend New Year’s Eve! Visit the official Casinò website for more information. Rookie Hint: Remember to bring your passport to the casino or they won’t let you in. Jetsetter NYE Party at the Casino – The historic casino will hold an unmissable, elegant event which includes a well-kept dinner (drinks are paid separately), a midnight toast with champagne and its own DJ party set to keep you dancing through 2015. The exclusive and trendy location, aka the Casino, is right on the Grand Canal, so bring in 2016 with tradition, style, and charm. Dress to impress! All this starting at €200. They also have hotel and dinner packages. 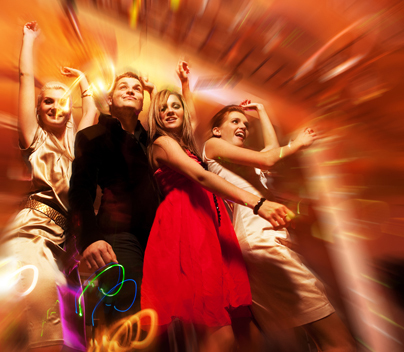 Click here to download the details on the Venice Casino 2013/2014 New Year’s Party. Here is the Capsula Facebook event. Dancing near the Water – The Last Crocodiles in Venice is the name of the group organzing this event and many every Wednesday near the Calatrava bridge. It’s a younger crowd with house and techno mixes, and the last party had a couple hundred people. If you want to dance with the Venetian hipsters, this might be an option. They haven’t mentioned there being a price, so it might just be you pay what you drink at the bar. For the Last Crocodiles in Venice’s Facebook event page for New Year’s click here. Communal Kiss in Piazza San Marco (Vallaresso waterbus stop to Piazza San Marco) which hosts the hundreds of visitors filling the square to enjoy music, toasts, fireworks and the midnight kiss! What is more fun than kissing amongst strangers! Don’t have a partner, don’t worry, there will be plenty of people to pick from. Plus, it’s a quick way to get warm! Body heat…yay! Embrace thousands of other die-hard romantics in this gesture of brotherhood the last day of 2015! For those who prefer to avoid the crowds – the Punta della Dogana is a recommended spot for a panoramic view from across the water. Opera, Dinner and Ballroom Dancing at the Fenice Theatre (West of Piazza San Marco in Campo San Fantin #1965 ) will have Diego Matheuz, conducting the orchestra in the late afternoon, followed by solos and duets which will all be televised on Rai Uno, but then starting at 8pm there will be a cocktail hour followed by the traditional Fenice New Year’s Dinner (Venetian-style) and then starting at midnight you can dance the night away in the ballroom foyer. Tickets range from €30-€300 depending on how many of these glamorous activities you want to take advantage of, but it’s a truly traditional and elegant way to bring in 2016. 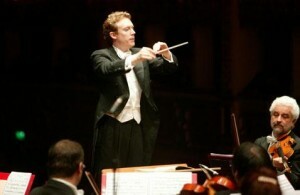 Click here to get ticket information from the official Fenice website. Eat Your Way through the New Year at a Venetian Restaurant is a more indulging way to enjoy Venice’s fine dining and wines in a more intimate setting. 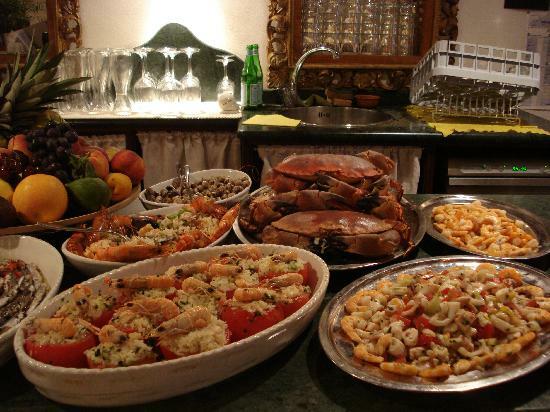 Venice has plenty of osterie (traditional restaurants) which you need to make reservations at pronto if you want to eat before your champagne or prosecco toast. 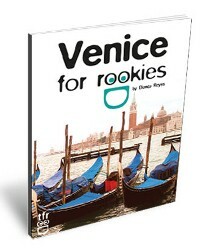 Choose from one of the many in the Venice for Rookies guide. Prosecco, a sparkling white wine from the Veneto region, was popularized by Harry Cipriani of Harry’s Bar in Venice. That is where he invented the Bellini cocktail using the sparkling wine and white-peach purée. 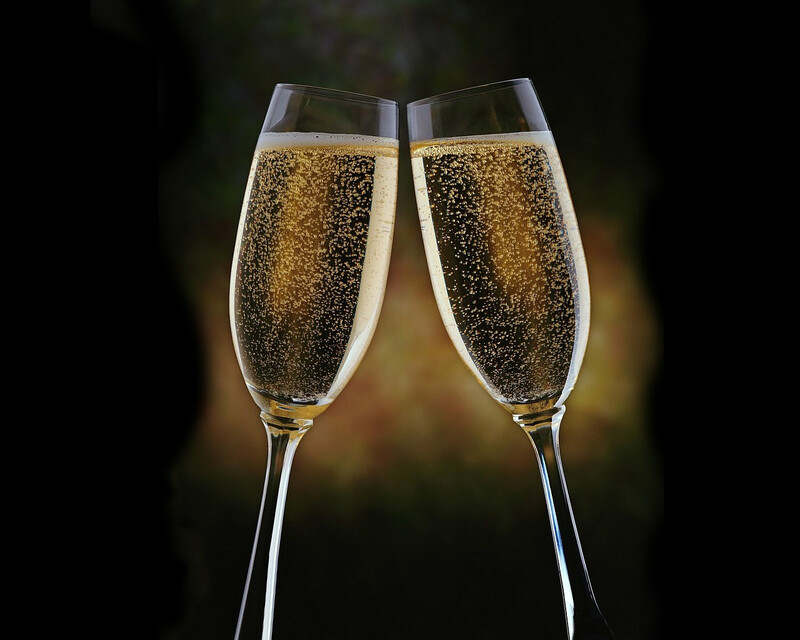 Prosecco is more often dry than sweet and is either fully sparkling (spumante) or semi-sparkling (frizzante). My personal local favorite is Osteria Del Cason known for their Venetian seafood dishes. We go there at least twice a month. They have great local, organic prosecco (which you can also buy by the bottle at 6 EUR). They have a fixed NYE menu for 80 EUR excluding wine but including a glass of Franciacorta (bubbly), two fish crostini, a seafood pasta, an oven- roasted sea bass, and focaccia. Call them for reservations at 041 344 0060. Finally, if you love eating like a local, but not into all the fuss and inflated pricing, then check out Trattoria Vittoria. It’s my Venetian friend’s family restaurant. It’s very informal and might seem touristy, but they have excellent traditional Venetian food. The mom is Venetian and the dad is from Puglia. It’s near Guglie Bridge on Lista di Spagna. You don’t have to call for reservations, but if you want to their number is 041 715013. I’ve only eaten seafood here and there is always a set of old Venetian couples which is a good sign since they really know where to eat. If you see a curly dark-haired girl, tell her Bianca sent you. They don’t have a special NYE menu which means it will be the same price, around 25-30 EUR per person on average. Some crazy crowds head over to the Lido beach for the Blue Moon Beach festival which includes hardy volunteers taking a new year dip (not as impressive as those who do so in the North Sea, but a valiant effort nonetheless!) and a general party atmosphere. Here are some way you can watch the last night of the year live online, with webcam views, including live streams from St Mark’s Square and the Rialto Bridge and the Venice webcams. 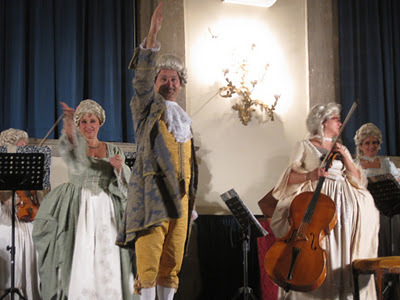 The New Year’s Day concert at the Fenice is also shown live on Rai Uno Online. Booking your hotel is crucial, so don’t wait too long! There are lots of options from hotels to guest houses or B&Bs, but as everywhere in the world on that day, there is a premium to pay if you want to stay in a central location. 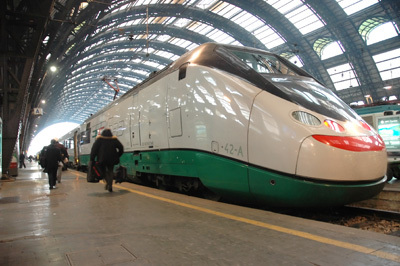 For the best options, click here to see all the available Venice Accommodations.